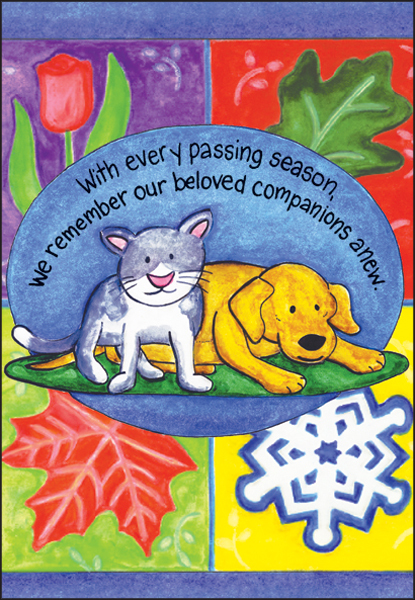 Veterinary Condolence Cards for Pets | it takes two, inc.
Fast Shipping on web orders! Order Today! Send these condolence cards for pets that have passed on. The loss of a pet is a difficult time for all family members. 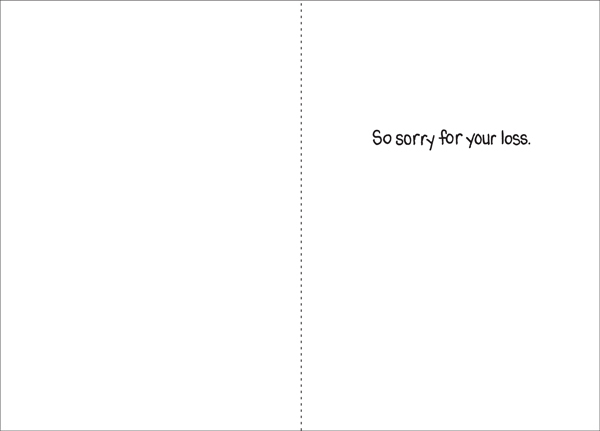 Share in their time of loss with these heartfelt cards. Front: With every passing season, we remember our beloved companions anew. Inside: So sorry for your loss. Product Details: Package of one dozen 5 x 7 greeting cards and one dozen color-coordinated envelopes.  Proudly made in the U.S.A.
We Care! We're proud of our commitment to print in the USA! Our cards are printed on recycled paper that is Green Seal certified - a stringent process that shows it has less impact on the environment and human health. Copyright © it takes two. All Rights Reserved.